Rocks and minerals have fascinating stories to tell about the processes that have shaped our earth throughout its history. 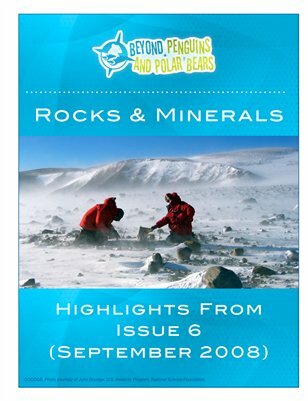 In this issue, we focus on the basic characteristics of rocks and minerals, the types of rocks, the rock cycle, and the specimens found in the polar regions. We highlight lessons that allow students to observe rock and mineral specimens, perform classification exercises, and read to develop their content knowledge. This month's Feature Story, "Reader of the Rocks," focuses on the discipline of geology and provides an opportunity for students to practice determining importance in nonfiction text.